The We Are Family Foundation (WAFF) will honor The Who's Roger Daltrey CBE and entertainment icon LL Cool J at its 2018 Celebration Gala on Friday, April 27, 2018 at the Hammerstein Ballroom in New York City. "Not only are both Roger and LL Cool J Kennedy Center and Grammy Awardees, they've dedicated much of their lives to organizations that benefit people overall, and youth specifically, which perfectly aligns them with We Are Family Foundation's mission and goals. These two incredibly talented individuals are selflessly dedicated to helping others. We are immensely grateful to them for their efforts to improve the state of humanity and welcome them into our WAFF family," says Rodgers. "I am delighted to receive the 2018 Mattie J.T. Stepanek Peacemaker Award. 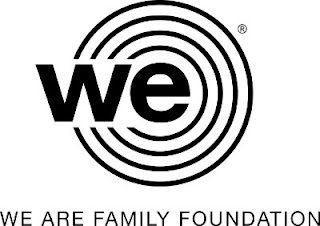 As one of the founders of Teen Cancer America I am proud to be honored by the We Are Family Foundation, who also recognizes the specific needs of our adolescents and young adults and understands how vital it is that we support them as they strive to positively change the world," says Daltrey. LL Cool J, a Kennedy Center Honoree, two-time Grammy Award winner, recording artist, actor, author, NAACP Image Award winner, entrepreneur and philanthropist will receive the Humanitarian Award. LL is the first rap artist to amass ten consecutive platinum-plus selling albums and received his star on the legendary Hollywood Walk of Fame in 2016 for his achievement in music. As an actor, he stars in the CBS' NCIS: Los Angeles, which has garnered him four consecutive NAACP Image Awards. LL can also be seen hosting and producing Lip Sync Battle, which earned its second Emmy nomination and LL won an NAACP Image Award in 2018 for "Outstanding Host." LL is an avid philanthropist involved in numerous causes including literacy for kids, music and arts programs in schools as well as his annual charity "Jump & Ball" in his hometown of Queens, New York which gives back to his community by offering a five-week athletic and team building program dedicated to bringing wholesome fun to young people. Previous honorees of the Humanitarian Award include Bono, Sting & Trudie Styler, Steven Van Zandt, Nile Rodgers, Jackson Browne, Peter Gabrieland Sir Elton John. "Hanging with Nile is always a good time. Truly a chic affair, where we party like we are family and dance, dance, dance for a great cause. I am honored to be recognized by Nile and the We Are Family Foundation and help support the important work they do for our youth," says LL Cool J.